• Casiplay Casino Review - A New Casino To Keep In Mind? 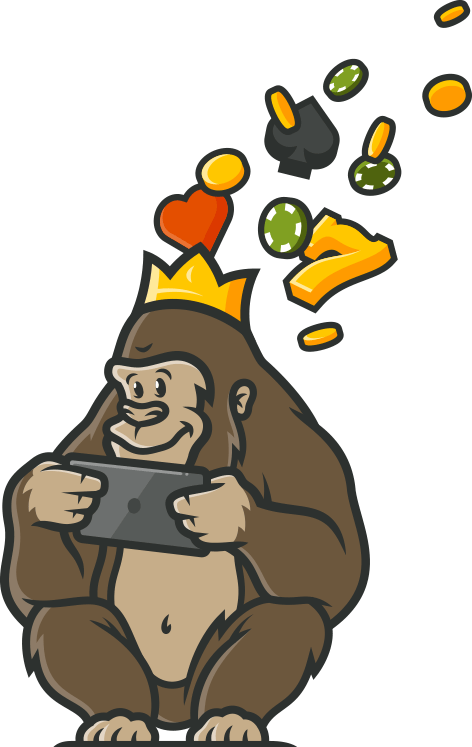 The Casino Gorilla loves signing up to an online casino and having a huge welcome bonus waiting to be claimed. It’s safe to say that some casinos are more generous with their bonuses for new players than others. When the Casino Gorilla came across Casiplay Casino, he was delighted to see just how much bonus money was on offer. So as you can see, there’s up to £800 in bonus money up for grabs. On top of that, you’ll receive 100 free spins. The first two sets of free spins you receive can be used on the hugely popular Starburst slot by NetEnt. The third batch of free spins is for Play’n Go’s adventurous slot Rich Wilde and the Book of Dead. The fourth and final batch is for the lavish Gold King slot, also by Play’n Go. Once you’re all done with your welcome bonus, don’t fret because there are still plenty of bonuses coming your way. Check out the casino’s promotions section to stay up-to-date with all the latest offers and work your way up the VIP club. Casiplay Casino’s VIP Club is made up of six tiers, the last two of which are invite-only and are reserved for the most loyal players. The higher your level, the more bonuses and exclusives you’ll get to enjoy. Don’t you just love free spins? You get to spin a slot for no extra cost and can still win actual money! As you can see from above, you’ll receive free spins for your first four deposits and these spins can be used on a selection of the casino’s most popular slots. You’ll also receive free spins every Sunday thanks to the VIP club – the higher your level, the more free spins you’ll receive! Some of the casino’s limited-time promotions may also offer free spins, so keep an eye out for these offers! If you’ve claimed casino bonuses before, you might have come across bonus codes. These are short codes that are made up of letters or, in same cases, letters and numbers. You simply copy your code and paste it into a casino’s bonus code field to be eligible for a special bonus. Some bonuses require you to enter a code, whereas others don’t. None of the promotions currently running at Casiplay Casino seem to require a bonus code. The collection includes loads of well known slots, along with lots of recently released ones. If you can’t decide where to begin, check out the Featured Games category and play slots such as Gonzo’s Quest, Avalon, Starburst and Thunderstruck. Or if you fancy something new, have a look at what’s offer in the New category. Here you’ll find many of the newest, most exciting slots, from Temple of Nudges and Book of Immortals, to Golden Colts, Strolling Staxx and many more. You’ll also find a good number of progressive jackpots slots available to play here. These are slots that don’t have a fixed jackpot; instead, the jackpot grows every time someone places a wager and there’s no limit to how high it can get. Test your luck at progressive jackpots like Mega Fortune and Divine Fortune, though remember that the chances of winning the big jackpot are so slim that you’ve have to be incredibly lucky to win. Are you a fan of live games? If you are, you’ll be pleased to learn that Casiplay Casino has over two dozen options for live games available. The casino’s collection of live games mostly offers blackjack and roulette, though there’s also baccarat and Dream Catcher. If you’ve never played Dream Catcher before, it’s a live money wheel game where you guess what number the wheel lands on. To make things interesting, there are also multipliers that can boost the value of your wins. If you want to play casino games while you’re out of the house, why not try Casiplay’s mobile casino? It offers most of the games you’ll find on the main desktop casino and it’s designed to be easy to navigate on mobile devices. It’s a great choice for anyone who enjoys gambling on the go and is easily accessible for both beginners and more experienced players. The line-up of accepted payment methods will vary depending on where you live. If you’re lucky enough to win and want to cash out your winnings, you’ll have to wait around three working days if you’re using an e-wallet and six to eight working days for other payment methods. Some payment methods can only be used for deposits and not withdrawals. All online casinos should do their part to make sure players are fully protected at all times. The main way you can tell a casino’s above board is by checking to see if it has a gambling licence. Casiplay Casino currently has two gambling licences: one from the Malta Gaming Authority and the other from the UK Gambling Commission. The casino uses the most up-to-date 128-bit Secure Socket Layer (SSL) encryption technology to protect all data. It’s also fully committed to keeping its games fair and unbiased at all times. The casino’s customer support team is available daily between 6am and 11pm GMT. Casiplay Casino is a modern, user friendly online casino that’s new for 2019. It’s very well designed and has very little in the way of clutter, so finding your way round shouldn’t be hard at all, even if you’re new to online casinos. There’s a huge welcome bonus waiting for you when you sign up, not to mention loads of popular games and a VIP scheme that rewards your loyalty. There are several ways of getting in touch, though customer service isn’t 24/7. You’ll find that plenty of payment methods are accepted, with wait times for withdrawals on the longer side. If you’re on the lookout for a fresh new casino that got lots to offer, look no further than Casiplay Casino! 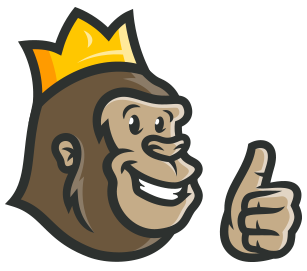 Word spread and before the Casino Gorilla knew it, all the other gorillas were signing up to Casiplay Casino to claim their welcome bonuses. The Casino Gorilla was becoming something of a trendsetter!